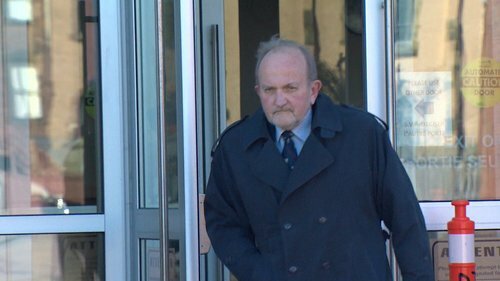 Dennis Oland's second-degree murder retrial in the 2011 bludgeoning death of his father Richard Oland continues in Saint John today with expected testimony from a forensic toxicologist and the lead investigator. Dennis #Oland trial begins. Crown prosecutor Jill Knee calls Dr. Albert Fraser to the stand. 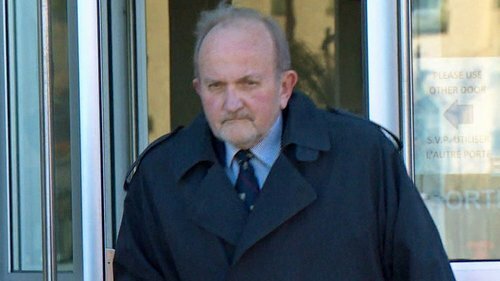 Fraser tested Richard Oland’s blood and other fluids for drugs, alcohol and other substances. No alcohol in Oland’s blood but a minor amount in his urine. Well below impairment level - a reading of 0.023. 23 is quite low, says Fraser. Readings of 100 or 200 not uncommon in those who are impaired. Oland was not impaired in any way at time of death he says. Readings are consistent with consumption of alcohol but several hours prior to death says Fraser. Defence lawyer Alan Gold asking Fraser if the readings are consistent with Oland having popped out for a drink an hour before his was killed. Not an hour says Fraser - maybe three hours. How about a small amount of alcohol an hour before death? Unlikely, says Fraser. How about just two sips of alcohol, asks Gold so that it is not detectable in the blood but shows up in the urine? “I don’t support that,” says Fraser. In trial number 1 Gold put forward the proposition Oland left his office after Dennis left, had a drink and returned. It was an attempt to explain why Oland’s cell phone might have accessed the cell tower at the Riverside golf club at 6:45ish that night. Dennis left the office nearly 15 minutes earlier and headed in the direction of the golf club raising the possibility Dennis had Richard’s phone with him when it used that cell tower. Gold is trying to build a scenario where Richard might have gone out with the phone himself. "Are you seriously suggesting [2 sips] would take longer than an hour to be eliminated from the blood?" presses Gold. "I’m suggesting that yes. "As a scientist, I’ll never say never," he adds. Gold asking Fraser about his contact with crown prosecutors prior to the first and second trial. Did Patrick Wilbur and Jill Knee tell you there was no evidence Richard Oland had consumed alcohol the day if the murder? Yes. Did you need to know that to give your opinion? No. Would agree that telling an expert that kind of information could taint the way an expert looks at and interprets evidence? Possibly. March 2014 email from Crown Patrick Wilbur, who is not involved in this retrial: "Interestingly, the investigation of the matter, did not disclose recent (12 to 24 hrs) consumption of alcohol by the deceased prior to his death..."
"...Although, I believe there is a scientific explanation as to why alcohol was detected in the urine, (decomposition?) We need to address it for the court/jury...."
"...That being said, perhaps we might be able to get an additional “report” from you, which would address this specific finding. I will discuss same with my colleague and get back to you shortly." Gold’s playing some courtroom hardball, suggesting prosecutors were manipulative and by the sounds of the accusation unethical in attempting to get Albert to provide an opinion that supported their case. Knee will get a chance to redirect questions to Albert on issues Gold has raised after the defence finishes with its questions. Gold suggests to Fraser "some previous historical consumption of alcohol is the obvious conclusion to reach in this case," given the facts. Fraser agrees. She has only one: Did any information she or Wilbur provided to him affect his opinion? No. Gold concludes. Knee asks Fraser if anything prosecutors said to him affected his report or opinion. No he says. Fraser is excused. Justice Terrence Morrison questions why there is a pair of brown gloves at the front of the courtroom. "Unless this is the OJ Simpson trial...Do those belong to the witness?" he asks. No. Someone else left them in the courtroom. Fraser is dismissed. Prosecutor PJ Veniot rises to object to Gold’s suggestion the prosecutors acted improperly was “totally inappropriate”. All we have here are our reputations says Veniot and he crossed the line. Lead Crown prosecutor P.J. Veniot stands to object to Gold's suggestion his colleague Jill Knee might have been attempting to taint the opinion of Fraser. "I feel it is totally inappropriate," he says. Gold says Veniot is being “overly sensitive”. He’s not saying what was done was intentional - but it was wrong. Justice Morrison expresses concern with the tone and says he has a high opinion of Knee that “has not been diminished” by what he heard from Gold. "As lawyers, all we have is our credibility, nothing else," he says. "With media here, we have no way of counteracting that," he says, noting he can't put Knee on the witness stand and give her an opportunity to speak. Veniot says it was "inappropriate and could have been handled differently," and he just wanted to bring it to the court's attention. Gold argues Veniot couldn't be more wrong. Says royal commissions have said factual evidence that may influence the opinion of an expert should not be given to them. Contends Veniot is being "overly sensitive." Davidson interviewed Dennis Oland on July 7, 2011, around 6:30 p.m. - about 9.5 hours after his father's body was discovered.